Your logo is the face of your website. A well-designed logo is self-explanatory and memorable. This post will help you choose the best logo maker in no time. Ease of use – some logo makers do a lot of the work for you, while others require you to basically build from scratch. Price – some logo creators are 100% free, while others will charge you if you want to download a high-quality version of your logo. Customization features – some logo makers offer full drag-and-drop interfaces and lots of design elements, while others are more limited. You can further edit your logo if needed. Every downloadable logo package will contain images of different resolutions for your site and your social media profiles. 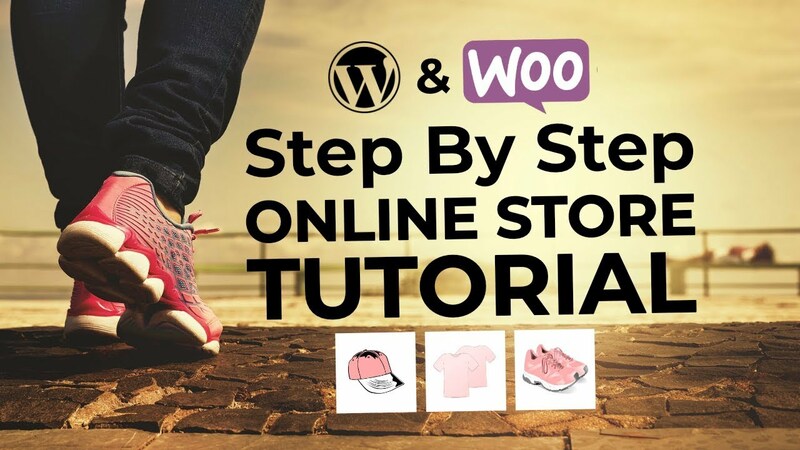 You can create a logo using Shopify without any fee. You will only be charged if you decide to get one of their premium logo templates. Designhill offers unique and intuitive designs that make your logo extra informative. First, pick your five favorite design styles. Next, their system will generate several specific templates. Edit your favorite one to make a stunning brand face for your business, changing anything from layout to icons to build the perfect logo. You can get a logo for a one-time fee of $7. This would be a basic resolution logo file. For a higher resolution with more distinct versions, they will charge you $21. If you have a bigger company and want more add-ons, get a $63 enterprise level package. Canva is for beginners and professionals alike. It’s a multi-purpose software that helps design images for anything, ranging from Facebook ads and infographics to blog posts and logos. Select your type of website and choose the appropriate logo design. Then, customize its fonts to make it more attractive. The logo is downloadable in PNG, JPG and PDF. Canva is a free logo maker, so you can get started without spending any money. However, if you want to unlock more features like some professional icons or access premium images, you would need to spend $12.95/month. GraphicSprings is a logo maker with a UI similar to a page builder. All its features are in the left sidebar, and you can select any shape or form for your logo. You have complete freedom to customize. If you want extra control over the details, GraphicSprings is right for you. Besides, if you’re unsure about the design principles to make an awesome logo, you can pay someone from their team to do it. GraphicSprings has four different pricing plans. Basic– $20 – If you just want to create a high-resolution custom logo, but the file will only be available in JPG format. Standard– $40 – You will have access to anytime logo editing and custom resolution. Also, the file will be available in PDF, PNG and JPG format. Pro – $100 – This plan contains a lot of add-ons including vector file and social media covers. Platinum – $200 – Designed for big sized websites. It is loaded with graphical features like branded presentation template, PSD file availability, graphical protection and so forth. Squarespace Logo Maker is a good option for a simple logo. You can instantly see how your logo would look on a business card, website, or t-shirt by testing prototypes on the editing screen. Use Squarespace for a simple, slick logo. Squarespace is a free online logo maker. High-resolution files are available for free if you are a Squarespace customer. For non-customers, there is a fee of $10. Ucraft has a super simple interface and unrestrictive usage. Adding and removing elements is easier than usual with this maker. Also, you can download a high-resolution logo for free. You can get an SVG file for $12, otherwise, the logo maker is free to use. Logo Garden has a pretty basic UI. It has limited customization, but it’s great for creating a basic logo. It’s also an excellent place to test different combinations when figuring out the right sketch of your logo. Logo Garden is a free logo maker popular among every niche. You can access this tool for $0. Tailor Brands is a premium tool for creating elegant logos. It can help you figure out what the best visual style for your business is. Enter your business name and add a bit about it. To make the crafting easier, you can choose the logo’s type (icon-based, name-based or initial-based). Select a few fonts, and you’ll get some logos. Here are a few templates to give you an idea of how the logo design would look like on different platforms. The maker shows you what your logo would look like on a website, business card, social media, and other places. They have three monthly pricing plans based on the features you would need. Basic – $4 per month – provides you with a high-resolution logo file. Basic package users can use logo resize tool, watermark tool and will be provided with complete ownership. Standard – $10 per month – for those who want to create business cards in addition to website logo. You will have access to 500,000 icons and images for crafting awesome graphical content. Premium– $16 per month – designed specifically for those who love social media marketing because you get social media tools to make your marketing easier. If you want a minimalist look, Logo Genie might just be the best logo maker for you. Once you drop the details about your company, it will provide you with potential logo designs. You can create a professional logo using Logo Genie for $30. Hipster Logo Generator will help you create the perfect logo for your website. As the name indicates, this tool helps create a hipster-styled logo, but if you want, you can create a classic or modern design as well. Run a few ideas and choose a nice logo. Hipster Logo Generator only charges you for a high-resolution image. This means you can download your final logo design for free. Hipster Generator Logo provides a low-resolution logo for free. A high-resolution logo file is available for $10. Using one of these logo creators is a great option if you’re the DIY type. However, if you’d prefer to have someone else do the work for you, we also have a post with some tips on how to get a logo designed. While it might not be quite as affordable as these tools, it’s probably not as expensive as you might think! Have any questions about these logo creators? Ask away in the comments section!